This machine is especially designed to pleat the fuel; oil and heavy duty air filter elements. 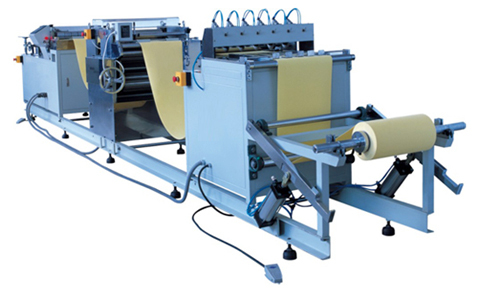 1.The pre-slitter uses pneumatic slitting blades and it is simple for regulation and evenly pressed. 2.Six sets of rolls are equipped in the same round table which can be easily changed and suitable for producing in different specifications. 3.The machine can also make embossment on paper which is especially suitable for the heavy duty air filter; 4.The process of the machine is auto counting, pleating, pre-heating and forming. 5.This machine has stainless steel conveyer device, so the filter paper is pleated much more evenly and smoothly. 6.It is easy to operate through the computer control.